CreateAbility is recognised in the program of activities for the Regional Centre for Culture 2018. This program highlights and promotes creativity in our region -encompassing the City of Greater Bendigo, and the Mount Alexander, Central Goldfields and Hepburn Shires. 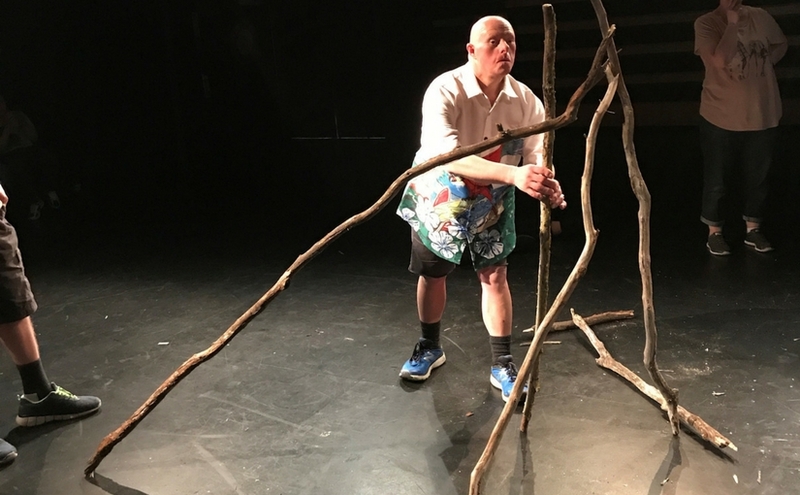 CreateAbility’s new performance project, DENDRON – the Forest In Us, is our major contribution to the Regional Centre for Culture. DENDRON explores our fascination with forests and ‘the woods’. So often wild environments are places for journeying and transformation. The word ‘dendron’ has its roots in the Greek word for tree, but also refers to the structures at the ends of our nerve cells where the synapses pass their messages. Dendrons look much like tiny trees and literally form forests of vital communication within the body. DENDRON will be performed at Ulumbarra Theatre in November. The production received funding from Creative Victoria. CreateAbility would not be able to take on significant projects such as this without the great partnerships we have with the City of Greater Bendigo and Capital Venues and Events. The Capital are continuing their support for createAbility this year with a residency at The Engine Room at the Old Fire Station and co-producing the theatre based performances. This means that they provide a working theatre where development and rehearsal takes place as well as technical and production support. This is just one of createAbilty’s projects this year. They also received funding from the City of Greater Bendigo for a film project based (loosely) on Peter Pan. This version is called Peta Pan. There are plot twists and extraordinary characters that may or may not bear resemblance to characters you know from the original. And CreateAbility is taking their successful show from last year, No Hands, on tour to Wodonga in September. Funded through Touring Victoria (Creative Victoria) it will be presented at The Cube. The performance group will offer a workshop on devising inclusive performance while they are there. A big thank you to Golden City Support Services for their continued support. Follow CreateAbility on Facebook and Instagram.